When Holly White's fianc cancels their Christmas Eve wedding with less than two weeks to go, Holly heads home with a broken heart. Lucky for her, home in historic Mistletoe, Maine is magical during Christmastime--exactly what the doctor prescribed. 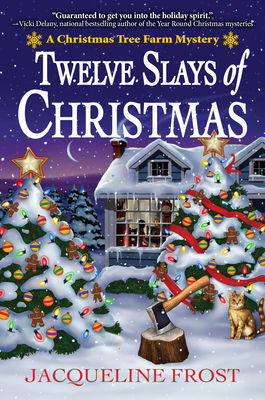 Except her plan to drown her troubles in peppermints and snickerdoodles is upended when local grouch and president of the Mistletoe Historical Society Margaret Fenwick is bludgeoned and left in the sleigh display at Reindeer Games, Holly's family tree farm. Jacqueline Frost is a mystery-loving pet enthusiast who hopes to make readers smile. She lives in rural Ohio with her husband and three spunky children. Jacqueline is a member of the International Thriller Writers (ITW) and Sisters in Crime (SinC).